SEO is the abbreviation for Search Engine Optimization. SEO is anything that an individual does on the internet and in particular on his Web site that improves his Web site's rank in the organic results of the search engine results pages (SERPs). To "optimize" your Web site for search engines is to do what the search engines want in order to list or rank your Web site more favorably (higher) than other Web sites or web pages that are competing for rank for the same search phrases or keyword phrases on your web pages. It is complex these days, and beyond the ability for most persons to accomplish good results on their own. This is especially true when there is a lot of "competition" for the keyword phrases that have value to you. SEO is NOT Pay Per Click (PPC). Having your Web site properly "optimized" for search engines will result in your rank on the SERPs improving in the "organic" results -- not paid ads. SEO is NOT a "silver bullet" for every Web site. That is why we provide a FREE SEO Consultation for anyone that is considering an SEO campaign. 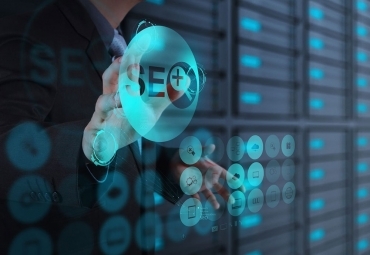 Investing in SEO may not be the best way for you to attract new clients or make more sales. SEO is NOT a guarantee that your sales will improve. First, you must be receiving legitimate SEO services, and there are plenty of crooks out there willing to take your money and exploit your ignorance. Effective SEO will result in dramatically increased visitation to your Web site, but you must also have an equally powerful plan for converting those new visitors into sales. Getting them there is one of the steps. We have a publication that will help you with the basics and recommend a Web site buider that will do a good job of automating the rudimentary SEO elements of your Web site for you. If we build your website for you, the proper On-Site SEO will be created along with the build. Are you looking for just basic, on-site SEO service for a website that already exists? We will optimize your existing website pages for you! We will fulfill all of the basics for good, on-site SEO. For the best results, you should select only one, main keyword phrase per page. If you want other sub keyword phrases on a page, you should limit them to no more than two more. On site SEO is accomplished by doing the right things on your own website, such as properly naming your META tags, using HEADING tags and appropriate text decoration. Accurately naming your ALT tags for your website's images, having the right balance of text and graphics, as well as an adequate quantity of good text are also paramount to good on site SEO. The things outlined below are seven elements of good, on-site seo, but they are not explained in detail. Proper use of HEADING tags within the BODY of your website. Correct employment of ALT tags for your images. Good copy and an adequate amount. Off-site SEO is the things that you do to raise the rank of your website in the organic SERPs (Search Engine's Results Pages) on websites other than your own. Trading links with another website, having someone voluntarily link to your website from theirs or paying someone to host a link or article to your website from their website are all methods of off-site SEO. Another method of off-site SEO is Social Media. Social Media sites also host off-site content that can link back to your site and raise your site's value in search engines like google.